Need Help Finding a List? Click on the initial letter of your city's name. North Carolina is abbreviated NC. The capital of North Carolina is Raleigh and the largest city is Charlotte. Residents of North Carolina are referred to as North Carolinians. The unofficial name of North Carolina is "Tar Heel State." North Carolina is also sometimes referred to as "The Old North State." The word Carolina comes from Carolus, the Latin form of the name Charles. The state song of North Carolina is "The Old North State." The state motto of North Carolina is "Esse Quam Videri (To be rather than to seem)." North Carolina is ranked 11th in population and received its statehood November 21, 1789. The Cardinal is the state bird of North Carolina. The state flower is the Flowering Dogwood and the state tree is the Longleaf Pine. Georgia, South Carolina, Tennessee and Virginia are all bordering states of North Carolina. The Roanoke River is a famous body of water associated with North Carolina. Farming (tobacco, poultry), textiles and furniture are major industries of North Carolina. Do you have facts that you'd like to contribute to our North Carolina page? If so, please use our contact us form. We will probably need to fact check any contributions so please provide us with a link to a source to verify it. Want to know about preparing for the North Carolina End of grade Tests or NC EOG Standardized Tests? Are you interested in information on Homeschooling in North Carolina or a North Carolina homeschool parent support group? There are many homeschooling parents in need of preschool ideas and creative curriculum for preschoolers. Consistency and flexibility are important in a preschool homeschool curriculum for our children. Find more North Carolina games! 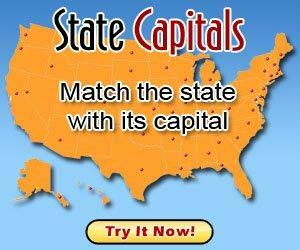 Looking For Homeschooling Information About Your State? • Learn how other parents got started and much more!